Todd was born in west central Illinois and has lived in the Chicagoland area most of his life. He resides in the Western Suburbs with his wife Anita. Todd has worked as a Registered Representative for over 30 years. 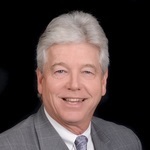 He specializes in retirement planning for individuals along with 401(k) and Profit Sharing Plans for corporate clients. Todd focuses on providing diverse and flexible retirement portfolios that can navigate the changing financial climate. Todd also brings many years of experience in the insurance industry which gives his clients the opportunity to protect their assets from unforeseen changes that can effect a retirement plan. Todd graduated from Western Illinois University with a BS in Marketing. He holds Series 6, 7, 63, and 66 Securities Registrations. Todd enjoys traveling with Anita and golf in his leisure time.